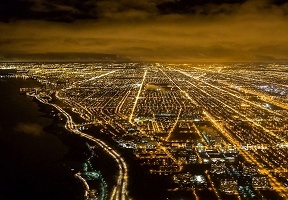 Mayor Rahm Emanuel announced the Chicago Smart Lighting Program (CSLP) is wrapping up its first year and has installed new lights in all of the city’s 50 wards. To date more than 76,000 new LED smart streetlight fixtures have been installed as part of the four-year modernization program, which is increasing the reliability and quality of Chicago’s streetlights. The modernization program is being implemented by the Chicago Department of Transportation (CDOT) and will replace 270,000 of Chicago’s street, alley and viaduct lights with high-quality LED fixtures during its four-year timeframe. 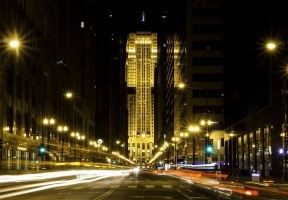 Chicago is also installing a citywide lighting management system for the new LED lights. When it becomes operational later this year, the system will alert the City when lights need service. By switching to energy efficient LED streetlights, the City expects to cut its streetlight electricity costs by more than half, yielding savings of approximately $100 million over 10 years.